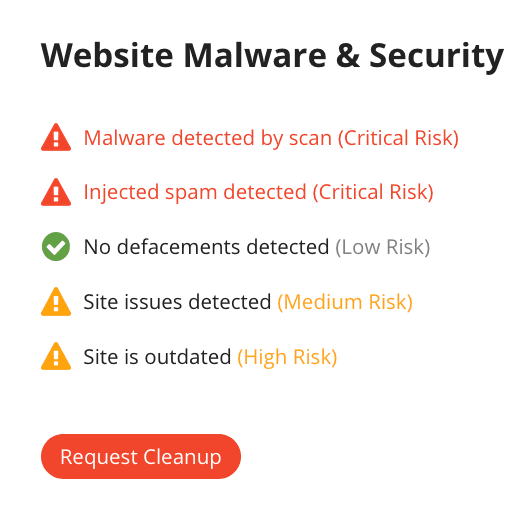 SiteCheck is Sucuri’s free website malware and security scanner offered to anyone who wants to scan their websites for malware and blacklist status. Last year, we improved SiteCheck’s speed and reliability. Today, we are excited to share the latest upgrades that makes SiteCheck even better. As one of our first free tools created, SiteCheck has been used by thousands–not only website owners but also users around the globe who are concerned with website security in general. If you’ve visited sitecheck.com recently, you might have already noticed its new look. We have worked hard to give it a clean, user-friendly design. Our codebase has been completely rewritten, which has allowed us to achieve tremendous improvements in scan speed–it is now 600% faster and more comprehensive. Here is a comparison chart displaying the scan time before and after the implementation of these SiteCheck upgrades. The new SiteCheck version now offers International Domain Name (IDN) support, allowing people who own international domains to check their website security. After scanning a website, SiteCheck now has additional recommendations on how to improve website security. It also provides security ratings ranging from “minimal security risk” to “critical security risk”. One of the latest features is Transport Layer Security (TLS) recommendation status, which informs you if the website is HTTP or HTTPS. SiteCheck also scans a website for mixed SSL content warnings. We also recommend hardening improvements, such as minimum versions of updated PHP, Drupal, Apache, and Nginx due to some recently discovered vulnerabilities. What Else Can You See in SiteCheck? As a result of these improvements, not only is there a design upgrade but improved efficiency so our free website scanner can serve you better. SiteCheck is a remote scanner that crawls websites link-by-link searching for website infections. Our security analysts are constantly working to update the malware signatures that SiteCheck can identify. Nevertheless, we highly advise you to use a server-side scanner in addition, since not all infections are visible to remote scanners. For more information about it, we have a post explaining the different website monitoring tools. If you suspect your website is infected, reach out to us and we will be happy to help you. ← Why Integrate Machine Identities with Hardware Security Modules?